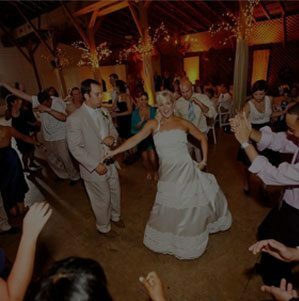 With All Around Raleigh DJ, your wedding and reception will be the perfect, memorable celebration you’ve always pictured. 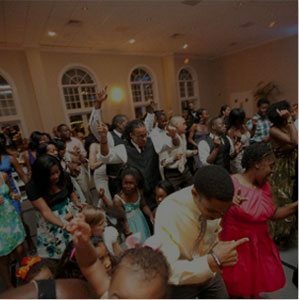 All Around Raleigh DJ Company offers professional DJ and MC, lighting, photo booth and event production services for companies and corporate events of all sizes. 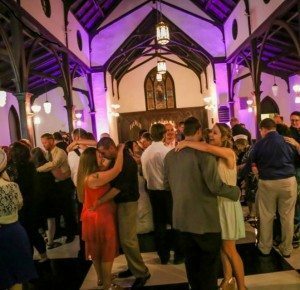 DJ Services in Raleigh, NC: You’re Gonna Need a Bigger Dance Floor! 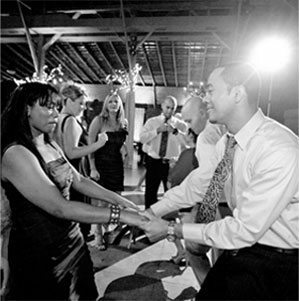 We proudly DJ for the Raleigh, NC area with professional and fun DJ services. We are one of the most widely requested Wedding DJ companies in Raleigh, NC and we are also proud to offer DJ services for: bar mitzvahs and bat mitzvahs, private parties, corporate events, birthdays and school dances, pool parties, holiday parties, and more! Our services also include wedding uplighting and event uplighting, photo booth and great event lighting in Raleigh, NC too. We have a passion for music and for delivering the best sound quality and personalized song selections for our clients. We truly want your event music experience to be completely perfect. Whether you’re planning a wedding, bar mitzvah or bat mitzvah, corporate event, or private party, All Around Raleigh DJ services are the best decision you can make. When you really think about it, what really makes a great party? The entertainment, of course! We are proud to offer experienced DJ services to the entire Raleigh, NC area. Our highly-requested offerings include Raleigh wedding DJ services, and we are well known as a leading local DJ for: bar mitzvahs and bat mitzvahs, private parties, corporate events, birthdays and school dances, pool parties, holiday parties, and much more! We are proud to be one of the highest rated DJs in the greater Raleigh area. We encourage you to read our outstanding reviews on Google, The Knot, and Wedding Wire!